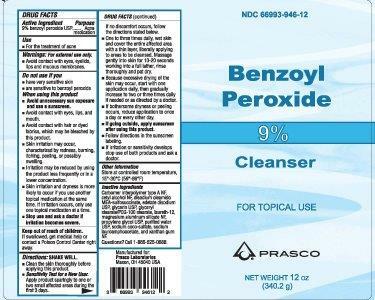 Benzoyl Peroxide with NDC 66993-945 is a a human over the counter drug product labeled by Prasco Laboratories. 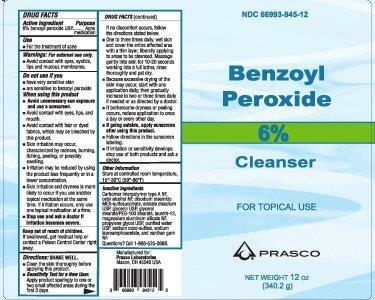 The generic name of Benzoyl Peroxide is benzoyl peroxide. The product's dosage form is liquid and is administered via topical form.